When it comes to industrial storage solutions, we are the experts in San Antonio. 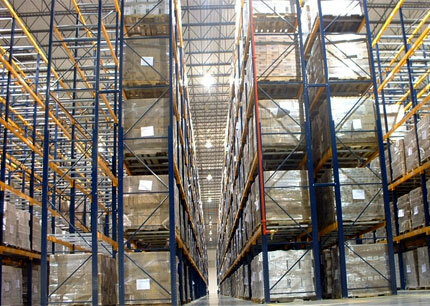 We can help you with projects ranging from a full warehouse of pallet racks to heavy duty sheet metal storage to pipe or other long item storage applications in cantilever racking. Contact us today for fast assistance. Cisco-Eagle can help you specify and install exactly the right system. We stock Steel King SK2000 racks and have implemented hundreds of successful selective, pushback, drive-in, and other systems. For long, bulky, or awkward loads, we can help you with the right storage solution. Loads like pipe, lumber, or tubing require cantilever rack storage for safe, efficient storage. We assist manufacturing, military, and assembly clients who store metal sheets and must handle these loads better and safer. Solutions include roll out horizontal and standing vertical racks. Increase safety, reduce labor and improve material accessibility for bar stock, tubing, pipe, conduit and more with rollout cantilever rack systems. Store archive storage boxes with this hand-loaded, high-density rack solution. Modular, stackable rack systems can be configured for extra long, difficult or awkward items. Includes drum racks, coil racks, and more.